Martin O’Malley raises a fine concern about Bush-versus-Clinton politics. After outlining the many arguments against dividing society into kings and subjects, however, Paine wrote of an even more unsettling arrangement. The United States has wisely eschewed formal monarchy. But it has, rather too frequently, accepted a dynastic politics that rests power in particular families. This has always been troublesome for those who take seriously the promise of an American experiment founded on the premise that all men—and women—are created equal. The prospect of a 2016 presidential contest between representatives of two families that have claimed the presidency with some frequency in recent decades is doubly troublesome. This ought to inspire debate in both major political parties, and beyond their narrow boundaries, about whether it makes sense to give Americans a “choice” between the son and the brother of former presidents running as a Republican and the wife of a former president running as a Democrat. So give former Maryland governor Martin O’Malley credit for opening the debate in an appearance on ABC News’s This Week with George Stephanopoulos.When Stephanopoulos suggested that O’Malley sounded like he was ready to challenge presumed front-runner Hillary Clinton for the Democratic nomination in 2016, the host got no objection from the all-but-announced candidate. Indeed, O’Malley went for it. That line got more attention than anything else O’Malley has said in two years of positioning for what everyone accepts would be an uphill challenge to the former First Lady. O’Malley eschewed direct attacks on Clinton, whom he backed for the Democratic nomination in 2008, and took no great swings at potential Republican nominee Jeb Bush. The former governor avoided going off on tangents about Bill Clinton or Bush 41 and Bush 43. He suggested that his objection was to “any two families” trading off the keys to the White House. This is the right objection. In fairness to Hillary Clinton and Jeb Bush—while both have benefitted mightily from family ties, and the campaign-treasury largesse that extends from them—neither of these prospective contenders is formally staking a purely dynastic claim on the presidency. Both have records to run on. Perhaps Hillary Clinton is the best-prepared Democratic contender. Perhaps Jeb Bush is the best-prepared Republican contender. Should they run—as is expected—each will have a chance to make their case. And if Clinton and Bush secure their respective nominations, they will find themselves arguing with each other about who is better prepared. And, presumably, about who is more "of the people." But Democrats and Republicans who dare to infuse their partisanship with reason and reflection should ask whether this is really the choice that they ought to offer the American electorate. Democrats and Republicans who are of a serious bent have every right—and responsibility—to examine alternatives. This should be recognized as a very American consideration. 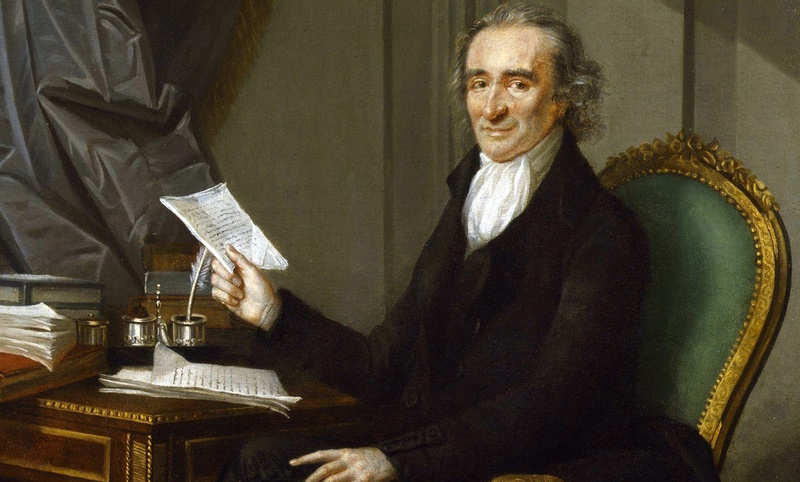 It is difficult to imagine that Tom Paine would have expected—or wanted—Americans to have to pick their president from a select pair of experienced and entitled families. As Paine is not with us to raise the concern, it is good that Martin O’Malley has done so.